The Palestinian national office for the defense of land and resistance of settlement warned of the dangers and consequences of the Israeli rabbis’ advisory opinion permitting settlers to poison the running water in cities and towns of the West Bank. In its weekly report, the office on Saturday pointed to the advisory opinion by Rabbi Shlomo Mlmad, the chairman of the so-called Council of Rabbis in West Bank settlements, which was disclosed by the Israeli organization 'Break the Silence'. Yehuda Shaul, of Break the Silence organization, said that the aim behind poisoning water in the West Bank is pushing Palestinians to leave their towns and cities to pave the way for settlers who look forward to take over their lands. One might expect that only historians would care to revisit the 1948 war that created Israel. And yet the debate about what constitutes truth and myth from that period still provokes raw emotions. Much rests on how those events are reconstructed, not least because the shock waves have yet to subside. Israelis fear, and Palestinians crave, a clearer picture of the past because it would powerfully illuminate the present. It might also influence the international community’s proposed solutions for the conflict. That is why the unearthing of an Israeli soldier’s letter from 1948 detailing what was probably the war’s worst massacre – one long buried by Israel – is of more than historical significance. It comes as Moshe Yaalon, the defense minister, this week accused Breaking the Silence, an Israeli organisation that exposes military abuses, of “treason” for collecting evidence from the army’s current whistle-blowers. Western understandings of the 1948 war – what Palestinians term their Nakba, or catastrophe – are dominated by an enduring Israeli narrative. Israel’s army, it is said, abided by a strict moral code. Palestinians left not because of Israel’s actions but on the orders of Arab leaders. For decades Israel’s chief concession to the truth was an admission that a massacre took place just outside Jerusalem, at Deir Yassin. Israel claimed the atrocity was the exception that proved the rule: a rogue militia killed more than 100 villagers, violating Israel’s ethical codes in the chaotic weeks before statehood was declared. Palestinians have always known of dozens of other large massacres of civilians from 1948 carried out by the Israeli army. The barbarity, they say, was intended to terrorize the native population into flight. This account puts responsibility on Israel for taking the refugees back. But history is written by the victor. In recent decades a few brave Israeli scholars have chipped away at the official facade. In the late 1990s a Haifa University student collected testimonies from former soldiers confirming that over 200 Palestinians had been massacred at Tantura, south of Haifa. After the findings were made public, he was pilloried and stripped of his degree. A decade ago, the historian Ilan Pappe wrote a groundbreaking book, The Ethnic Cleansing of Palestine, arguing that massacres like the one at Tantura were exploited to drive out Palestinians. 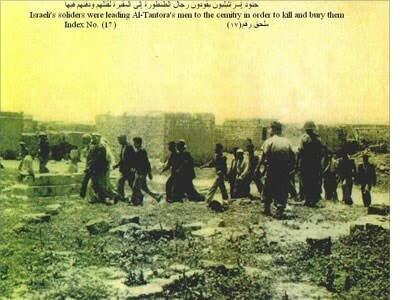 He and others noted the suggestive titles of military operations such as “Broom” and soldiers’ orders to “clean” areas. Pappe now lives in academic exile in the UK. 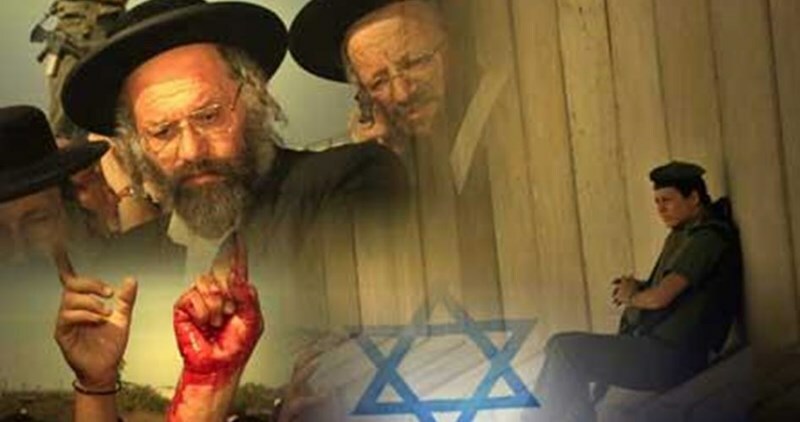 The biggest obstacle to shifting Israeli and western perceptions of 1948 has been the lack of a clear paper trail connecting the political leadership to the massacres. Israel locked away bundles of documentation precisely not to jeopardize the official narrative. But things are changing slowly. Last year a key deception was punctured: that Israel urged many of the war’s 750,000 Palestinian refugees to return. In a letter to Haifa’s leaders shortly after the city’s Palestinians were expelled, David Ben Gurion, Israel’s first prime minister, demanded that any return be barred. Now another letter, located by Israeli historian Yair Auron and published last week for the first time in English by the Haaretz newspaper, trashes the idea of an ethical Israel army. Written by Shabtai Kaplan, a soldier and journalist, the letter confirms long-held suspicions of a massacre – one that dwarfs Deir Yassin – at Dawaymeh, near Hebron. Last week Benjamin Netanyahu’s government launched an investigation into Breaking the Silence. 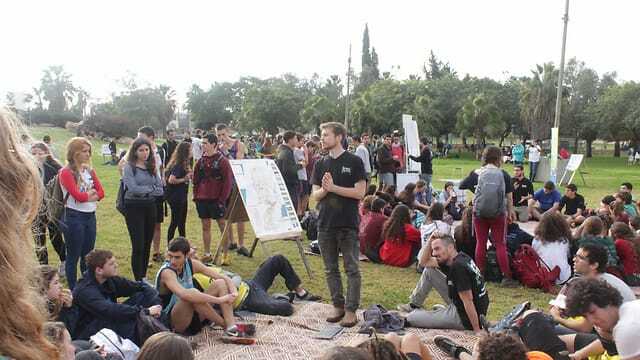 On Sunday Netanyau called the collection of soldiers’ testimonies “intolerable”, indicating that he may try to ban the group. In his 1948 letter, Kaplan observed of the failure by the political leadership to hold anyone to account for the massacres: “Inaction is in itself encouragement.” Israel’s politicians hoped then that the Palestinians could be quickly terrorized from their lands. Decades later, the atrocities continue – and to the same end. But Israel must face facts: the days when such systematic brutality could be kept under wraps are now over. Jonathan Cook won the Martha Gellhorn Special Prize for Journalism. He contributed this article to PalestineChronicle.com. A young Israeli grew up on stories of the Holocaust, determined to enter Israel's army and not let Jews be victims again. But his encounter with a small Palestinian girl would change his outlook. Let's meet some people who seem rare in this polarized age. It's a time of fierce political partisanship. INSKEEP: And a time of extremism. Just think of today's explosions in Brussels. GREENE: The Israeli-Palestinian conflict has divided opinion for generations, which makes it all too easy to overlook this reality. INSKEEP: Many Israelis and Palestinians actually do change their views over time. NPR's Emily Harris reports some of their stories this week and begins with a former Israeli soldier. EMILY HARRIS, BYLINE: Noam Chayut was taught from a very young age about the horrors Jewish people suffered during the Holocaust - the concentration camps, the gas chambers. NOAM CHAYUT: We grew up about - learning about the uniqueness of the Holocaust. And one of these unique things is that we are unique victims. HARRIS: Most of his extended family were among the 6 million Jews killed. Chayut absorbed community stories of sorrow, victimhood and isolation in a world that let the Holocaust happen. He learned his role was to never let it happen again. CHAYUT: In 10th grade, we went to Poland - all the class - and to the concentration camps. And I saw where they gassed my father's family and then, a few days later, where they gassed my mother's side. As I was - I was trumpet player. In every concentration camp, we would do a ceremony. And then I'd play the "Hatikvah" - the national anthem. HARRIS: He plays the Israeli anthem for me now. So that would be my - my revenge against the Nazi enemy, playing the anthem - the Israeli anthem - on their land. HARRIS: Chayut could hardly wait to swap that trumpet for a gun in Israel's mandatory military service, defending Jews. CHAYUT: I knew I was going to join my military, I guess, the day that I knew that the water come out of the faucet. I knew I would be an officer. I knew I would fight the enemy. When I was young - then, the enemy could be Nazis, Arabs, Palestinians. It was a mixture of evil. HARRIS: Chayut served from 1998 to 2003. He patrolled the West Bank during the second Palestinian intifada, or uprising. A thousand Israelis and over 3,000 Palestinians were killed. Palestinians blew up buses and cafes in Israeli cities. Israel responded with force to stop the attacks. Chayut was among troops sent to capture Palestinian towns. CHAYUT: Most of the missions were arrest operations. So we would go to a town, a village, a city - an area in the city - and arrest, sometimes a very specific arrest of a person with a name and sometimes just bring all the men from that neighborhood to interrogations of secret services or whatever. I mean, we'd send a family to one room. We'd search. If I would confiscate things, I would do it very, you know, by-the-rules. I wouldn't take anything to myself. I mean, if I count these arrest operations in Ramallah and Jardin, then much more than a thousand houses that I invaded with my soldiers. HARRIS: Faces and situations mostly blurred into routine - a mix of boredom and fear. But one moment lodged in his memory. He was running after a suspected Palestinian militant. Instead, he came across a young Palestinian girl. He remembers. CHAYUT: So we were leaving the Jeep, running on a dirt road between the edge of a village and an olive orchard, entering the village. And just at the entrance, there she was, playing. And I smiled. And my soul expected a smile back. Instead, she freezed (ph), looked at me, terrified, became pale and turned around and ran away. HARRIS: At the time, that was that. He carried on with his duties with no inkling of the impact scaring that girl would eventually have on him. Chayut's last military mission was a speaking tour in the United States, raising support and funds for Israel. He was hailed as a hero. But after his discharge, another former soldier asked him to share some memories for a new and very different collection of soldiers' stories - anonymous stories, stories that chronicled aspects of the occupation that Chayut had never considered worth telling. CHAYUT: So he asked me on the phone, did you impose curfews? And I said, of course I imposed curfews. Did you shut doors of shops and send people home? I said, of course - daily. Did you stop Palestinians from harvesting the olives? And I said, what are these questions? Of course I stopped Palestinians from harvesting. So he said, maybe we can talk and I just record you. And, you know, if you want, you'll join. And just let's talk about it. HARRIS: This was the start of a group called Breaking the Silence - former soldiers who say they tell blunt stories of their experience so Israelis can know precisely what the military is doing in their name. The group would go on to become famous - or notorious - called traitors by some. Israel is investigating allegations it gathers classified information. For Chayut, becoming involved with Breaking the Silence nurtured a sense of unease with what he'd done as a soldier. That sense grew over time. CHAYUT: So five or six years later, I'm out of the army. I don't know what to do with my life. And I take a long vacation in India. HARRIS: One morning in a guesthouse in Rajasthan, a moment of clarity - the memory of that Palestinian girl returned crystal-clear, the warm, still village air, her young face, her fear. CHAYUT: And this is the moment when this incident becomes important, or even a turning point, for me in my life because this is - this incident puts the things together for me to understand that I was a victim of the Holocaust - of my Holocaust. And a victim is a good guy. So I was one of the good guys. The moment she didn't smile back to me, I became an occupier - a victimizer - of a 9, 7-year-old kid, terrified. HARRIS: In that moment of memory, Chayut realized he had changed. He could no longer claim to be just a victim. He saw himself and the conflict differently now. With no real plan, he started to write. 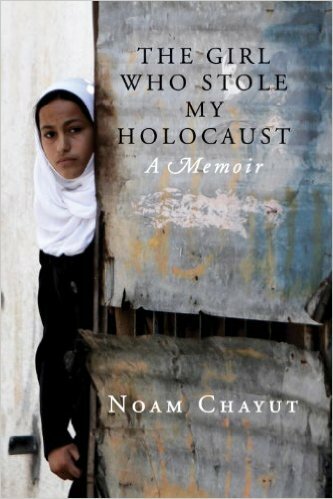 Scribbled memories became a book titled, in English, "The Girl Who Stole My Holocaust". CHAYUT: I guess I used to believe that we're the good guys. And they - whoever they are - are the bad guys. And I no longer believe it. HARRIS: Chayut doesn't see his old army buddies anymore. And he's rethinking how he'll teach his two young children about the Holocaust someday. Emily Harris, NPR News, Haifa.